As we officially launch into spring in Vancouver, there’s so much to do and see! From the blossoming cherry trees that line many of our city streets, through to beer festivals and craft fairs, April is an excellent month to visit, before the crowds of summer arrive. Here are our favourite things to do in Vancouver in April. 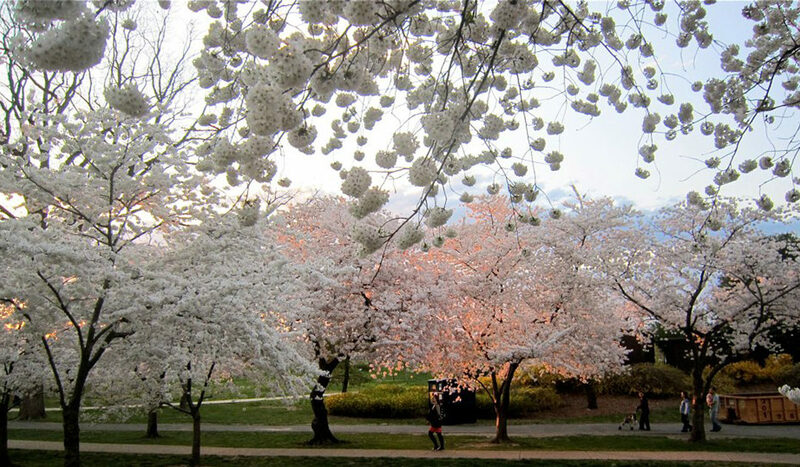 Whether you’re taking part in official festival events or simply strolling Vancouver’s streets, it’s hard to avoid the city’s brazenly blossoming cherry trees. Those visiting from the east may think that a surprise snow storm has hit the city only to find themselves in a blizzard of pale pink petals! 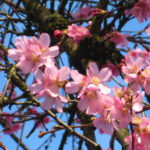 The Vancouver Cherry Blossom Festival includes lots of ways to celebrate the bud-burst, from concerts to picnics and a haiku poetry contest. But our favourite way is to join one of the Tree Talks and Walks, which take you through a local neighbourhood led by an expert. Alternatively, plan your own walk using one of the festival’s neighbourhood maps. Talk about making lemonade… as the weather gets warmer, April is prime slush season up on our local mountains. 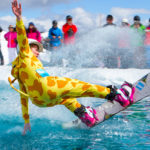 Rather than cry about it, Grouse Mountain presents the Slush Cup: ridiculously costumed competitors try to make it across a lake of slush on their skis or snowboard, all in pursuit of some awesome prizes. Points are awarded for outfits, flare, tricks and general outrageousness, resulting in peak silliness. Twice each year, the Make It Show hits town, showcasing over 200 of your favourite “makies” and their handmade items. From jewellery to jam, and décor to dumplings, this is a great opportunity to pick up unique gifts – we won’t tell if those gifts are just for you! 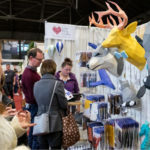 Held at the Pacific National Exhibition showgrounds in East Vancouver, the show is easily accessed by bus from downtown, and is a fun way to spend an afternoon over the Easter weekend. 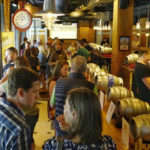 If you prefer a chocolate stout over a chocolate egg, then ditch the egg hunt and head over to Yaletown’s Red Race Taphouse for their annual Easter Cask Festival. Twenty weird-and-wonderful casks from BC breweries will be on offer, and the $25 ticket gets you 10 beer tokens, with partial proceeds going to charity.